Happy Friday, everyone! We had a busy week around our house and we are going to have a busy weekend as well. We finally finished Tyler’s bedroom and carpet was installed yesterday so this weekend we will be getting it set up for him to have a new bedroom of his very own! I am really looking forward to that, and so is he! I’ve also been busy trying out new to me recipes that I’ve come across on Pinterest! And when I found this Apple sauce not only did I know it would be delicious (because it came from Skinnytaste) but I knew it was going to make my house smell mouthwatering amazing! And it didn’t let me down. First, we washed our apples and got the peeler, slicer, corer ready to go. I had this sweet little helper to work with while her brothers were at school. Then, we loaded them on and peeled, sliced and cored away. Then we tossed all of the apples into the crockpot along with a few cinnamon sticks, some brown sugar, lemon peel and lemon juice. Let it cook on low for 6 hours, stirring the apples only occasionally. They cook down pretty good, and I just used my potato masher to finish mashing the chunks out at the end. But if you would like your applesauce to have no lumps you could toss it in your blender for a moment too. And my kids loved it, as did I! 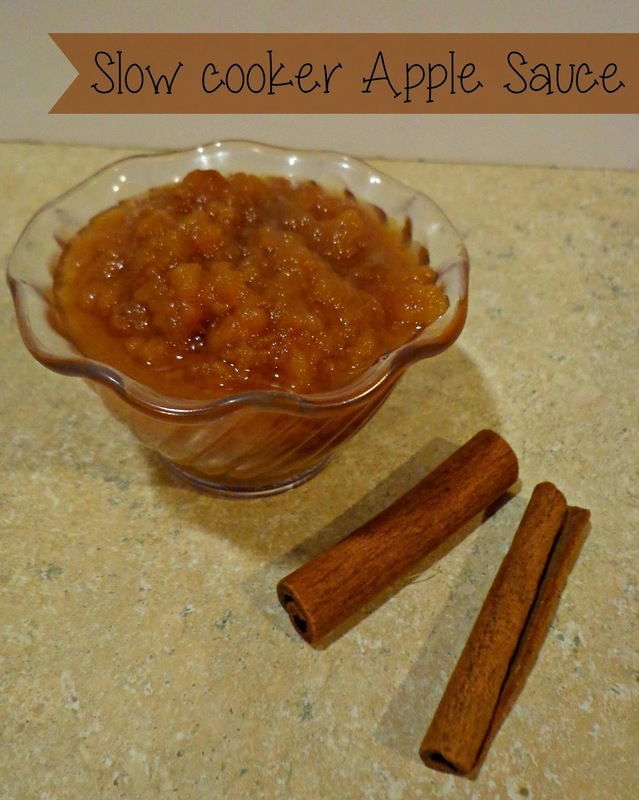 It’s a great anytime snack- and will make your house smell amazing! Thanks! Yes, you should try it and let me know what you think! this looks so easy, and delicious! Pinning! Thank you! Is really is easy to make and tastes amazing! Looks delicious! 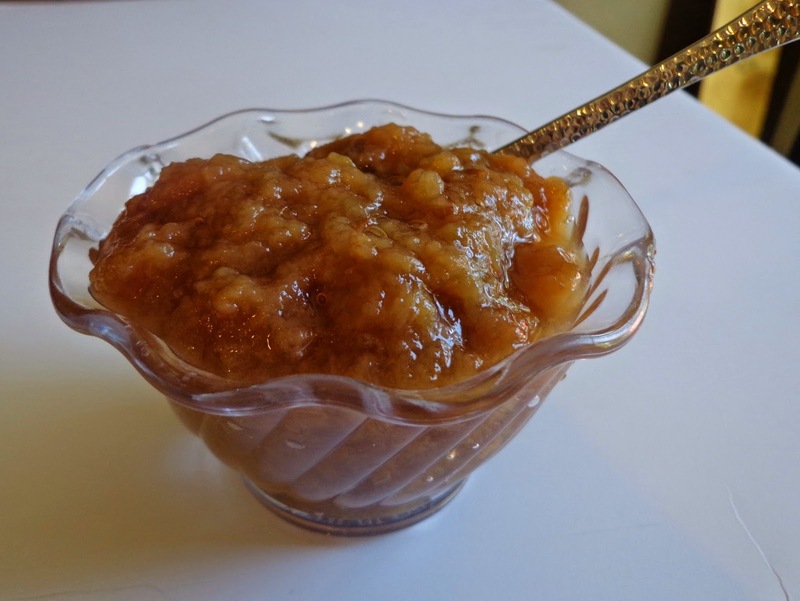 Homemade apple sauce is the best! Thanks for sharing it with us at Foodie Fridays! Hope you’ll be joining us again this Thursday night!